If you’re traveling with at least another person, you can apply for the Visa online, saving time and money. Click here to learn more! 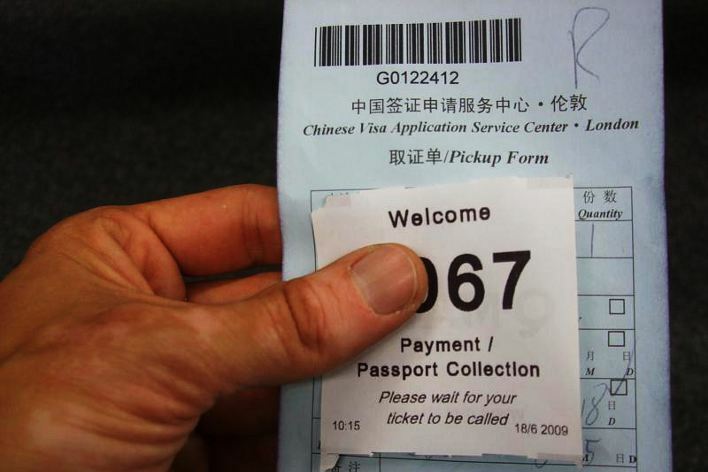 How long does it take to get a Chinese Visa? Do I need a Chinese Visa? How much does a Chinese Visa cost? Where can I get a Chinese Visa? What are the basic requirements for getting a Chinese Visa? What are the different types of Chinese Visas (and the additional requirements for getting them)? What information does the invitation letter have to contain? What Visas must be converted into a Resident Permit once I enter China and how to do so? How do I read a Chinese Visa? Can I extend/change my Visa once I enter China? This article is a complete guide – updated frequently – on how to get a visa for China. First of all, I recommend that you don’t get discouraged if you still don’t know which visa is best for you, or if you still don’t understand which documents you need to get one. The article is divided into sections (see the index below) and, moreover, we explain the difference between all types of visas and which documents are required to get the visa you need (in fact, the required documents vary according to the visa you intend to apply for). If you prefer to use an agency to apply for your Visa, click here to find out more about this option. To conclude, if after reading this article you still have doubts or questions, you can always leave a comment at the end of the article. We respond to all of them! If you have all the necessary documents and hold a passport with at least six months validity and two blank pages, it should take between two (if you apply for the express service) to four working days to get a Chinese Visa. Note that the rush service (one business day) is only available in some countries (the US, for instance) and only for cases of extreme urgency, upon the approval of the Chinese Consular Office. The best time to apply for a Chinese Visa is between two months and fifteen days before your departure. You can’t apply for your Visa too early because if you don’t use it, the Visa will expire after 90 days (or 180 days, in some cases), starting from the day you obtained it. You hold a passport from Singapore, Brunei or Japan and you’re staying in China for less than 15 days. You hold a passport from Bahamas, Ecuador, Fiji, Grenada, Mauritius, Seychelles, Serbia, Tonga and you’re staying in China for less than 30 days. The price varies from 30 to 140 USD depending on your nationality, the type of Visa, the country where you apply and the number of entries. Usually it’s cheaper for European people, whereas American people are usually required to pay the full fee of 140 USD. In many countries, including the UK, Australia, Canada and EU countries, you must apply through the CVASC (Chinese Visa Application Service Center). However, if in your country there is no CVASC (click on the link above to see the complete list), you shall still apply at the Chinese Consular Office that serves your province. This is also the case of people living in USA (you can click here to see where you shall apply if you are a US resident). If for some reason you don’t want to, or you can’t show up personally, you can use an agency to get your Chinese Visa. This will have a supplementary cost, but it may still be cheaper than the cost of the trip to the nearest CVASC or Chinese Consulate). In this case you’ll have to send your passport (and other necessary documents) to the agency and they will handle everything. To apply for a Visa service through an agency you can use the form on the right sidebar of this page. At the moment we recommend Visa HQ, a reputable agency that charges 79 USD for its Chinese Visa service. Click here to learn more! People that are already traveling or working in Asia may also apply in Hong Kong (at the moment, only through an agency, as applying for a Visa at the consular office is only possible for Hong Kong residents). Click here to read our guide to getting a Chinese Visa in Hong Kong. Keep in mind that the government may abruptly decide to restrict or change Visa requirements in any moment, just like they did in 2008 (before the Olympic Games in Beijing) and in 2013. I don’t want to scare you; just be prepared to deal with the unforeseen. In practice, you can also apply in other countries, but do so at your own risk, as it’s possible (probable?) that your application will be rejected. It also depends on your passport: Italian and German people, for example, seem to experience much fewer problems than French and American people. It usually depends on how good (or bad) the relationship between China and your country is. Since July 2013, even in Hong Kong, they have started to reject a lot of applications. Click here for the details. Update: Since 2016, if you have a passport form one of the countries listed on this page, in some cases it is possible to get your Chinese visa directly online. Click here to learn about about this possibility. A printed copy of the appointment receipt (only applicable if you’re applying through the CVASC – you will be able to make an appointement directlly on CVASC’s website). An invitation letter issued by a relevant entity or individual in China. The invitation letter is only needed if you’re applying for a C Visa (unless you have a letter of guarantee issued by a foreign transport company), F Visa, L Visa (unless you have proof of a hotel reservation for the whole duration of your stay in China), M Visa, Q Visa, S Visa or Z Visa. See the next section for details on the different types of Chinese Visas. Although normally the invitation letter can be in the form of a fax, photocopy or computer scanned printout, in some cases, you may be required to submit an original invitation, provide other supporting documents, or schedule an interview with the consular officer. Click here to find out how to write an invitation letter and what documents must be attached to it. Important: All the requirements listed above are necessary but not sufficient for obtaining a Chinese Visa. This is because depending on the type of Visa you’re applying for, you’ll have to submit some additional documents. Read the next section for the details. Finally, note that if the applicant is a child born outside China to a Chinese parent, the Visa requirements are different. Click here to learn more about this. Update: When applying for the visa in some Consular Offices, travelers with passports issued after 01/01/2015 must include their previous passport, along with their current passport. If you don’t have your previous passport anymore, or you have a gap between your old and new passport (for instance your old passport expired in May and you got a new passport in July), then you shall include a statement explaining the situation. Note: as said, for now the old passport doesn’t seem to be required everywhere, it depends on where you apply for the visa. Thus, the best you can do is to ask to your Consular Office, before you apply. Update: We received several comments from readers that claim being denied a Chinese Visa because they had a previous entry stamp from Turkey in their passport. Further, this problem may also happen when having passport stamps from other Middle East countries, beside Turkey. C Issued to foreign crew members of aircraft, trains, and ships, or motor vehicle drivers engaged in cross-border transport activities, or to the accompanying family members of the crew members of the above-mentioned ships. D Issued to those who intend to reside in China permanently. While in the past getting a D Visa – and thus being able to require a permanent resident permit – was rare, it seems that things are moving forward and the Resident Permit is getting easier to get (although still difficult). F Issued to those who intend to go to China for exchanges, visits, study tours, and other activities. G Issued to those who intend to transit through China (however, before applying for a G Visa, I suggest you to verify if you can get a 72 hours Visa exemption). J Issued to resident foreign journalists of foreign news organizations stationed in China. You shall apply for a J1 Visa if you intend to stay more than 180 days and for a J2 Visa (short-term) if you intend to stay in China less than 180 days. L Issued to those who intend to go to China as a tourist. M Issued to those who intend to go to China for commercial and trade activities. Q Issued to those who are family members of Chinese citizens or of foreigners with Chinese Permanent Resident Permit and intend to go to China for family reunion, or to those who intend to go to China for the purpose of foster care. R Issued to those who are high-level talents or whose skills are urgently needed in China. S Issued to those who intend to go to China to visit the foreigners working or studying in China to whom they are spouses, parents, sons or daughters under the age of 18 or parents-in-law, or to those who intend to go to China for other private affairs. X Issued to those who intend to study in China. You shall apply for a X1 Visa if you intend to stay more than 180 days and for a X2 Visa (short-term) if you intend to stay in China less than 180 days. Z Issued to those who intend to work in China. Note that regardless of what you are applying for, the Chinese Consular Office reserves the right to refuse your Visa or to grant a different validity, duration of stay and/or number of entries for your Visa. Below, we list the additional requirements for each type of Visa. The only additional requirement is a letter of guarantee issued by a foreign transport company, which is only needed if you don’t have an invitation letter. The only additional requirement is the original and photocopy of the Confirmation Form for Foreigners Permanent Residence Status issued by the Ministry of Public Security of China. The new F Visa is issued to people who come to China for non-business purposes such as educational, scientific, cultural, health or sporting reasons. Before July 2013, the F Visa was the same thing as a business Visa. The basic requirements, including the invitation letter, should be enough in most cases. The only additional requirement is an onward plane (train or ship) ticket with a confirmed date and seat to the destination country or region. The only additional requirements are a Visa Notification Letter issued by the Information Department of the Ministry of Foreign Affairs of China and an official letter issued by the media organization for which you work. Be aware that you should contact the press office of the Chinese Embassy/Consulate General in advance and complete the appropriate formalities. You should apply for a J1 Visa if you intend to stay more than 180 days, and for a J2 Visa (short-term) if you intend to stay in China for less than 180 days. The basic requirements listed above were once usually enough. 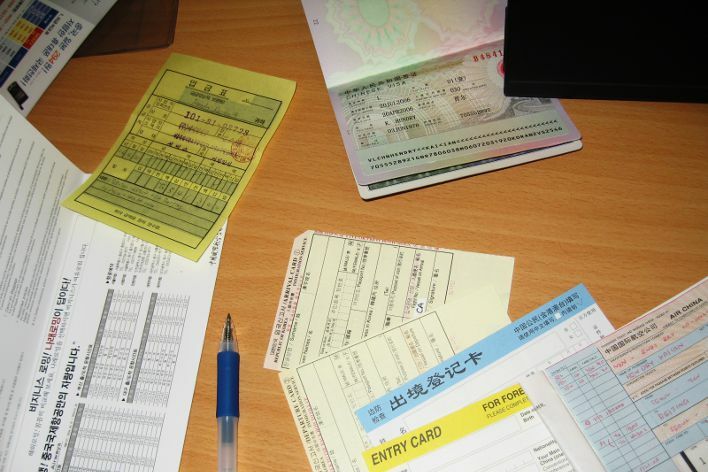 However, since July 2013, you’re also required to provide a copy of your return trip plane ticket for China (click here to read our guides on how to buy a plane ticket for China) and a copy of a Chinese hotel booking for the whole duration of your stay containing the full names of all the people that are applying for the Visa (click here to read our guide on how and where to book an hotel in China). If you intend to stay at your friend or relative’s house, you won’t need to book an hotel. However, your friend/relative will have to send an invitation letter to you (scroll down for more details on the invitation letter). Sometimes, the consular office employee may even ask you for proof of your ability to financially support yourself before accepting your Visa application. Therefore, before going to the Visa office, be sure to ask via email or to call them to be sure of the documents that you need to bring. The most common tourist Visa is the Single Entry Tourist Visa (that is, you can’t leave China and then enter again with the same Visa) which has a validity of between 30 days. The Double Entry Tourist Visa (2 entries, 30 days each), is also common. Note that U.S. citizens may be eligible for a 10-year multiple entry Visa. In this case, the remaining validity of your passport must be more than 12 months. You can apply for this visa even if you don’t have an American passport but are still a resident of the United States. In this case, you’ll also have to present your “green card”. Usually, you’ll also be asked to present your old passport (expired), if you have one. Note that, despite the visa lasting for than 10 years, this doesn’t mean that you can remain in China for 10 consecutive years. Each time you enter China, you can stay for a period between 30 and 60 days (the length of each visit can vary, the Chinese Consulate will decide). Be very careful to leave China before it expires (which can be between 30 or 60 days). After leaving China, you can re-enter and stay for another 30 (or 60) days. In general, the costs and time to get a 10 year visa are the same for getting a multiple entry visa of shorter lengths. To conclude, at the moment you can also apply for a 10 year visa with Canadian, Australian or United Kingdom passports as well. The conditions are similar to those for a 10 year visa with an American passport, even though the details can change (I recommend that you always verify the details with the consulate, the CVASC or the agency you went to in order to obtain the visa. If you are planning to go to Tibet, be aware that in addition to your Visa, you need a special entry permit issued by the Tibetan Tourist Bureau. Currently, you can only enter Tibet with a travel agency. Click here if you want to learn more on Tibet permits. This is the new “business” Visa and it’s issued to people who come to China for business and trade activities. You are required to provide an invitation letter issued by a registered Chinese company or organization (for example, a trade fair). A 10 year business visa has characteristics that are very similar to a 10 year tourist visa, which we discussed in one of the previous sections of this article. The main difference is that in this case, the maximum length for each entry can also be for 120 days (depending on the visa you get), while in the case of a tourist visa the maximum length of stay is 60 days. While many people use Business Visas to work in China, this is illegal. If you want to legally work in China, you need a Work Visa. Click here to read our complete guide on Business Visas for China. The Q Visa is issued to people who intend to visit their relatives or friends in China for a period longer than 30 days (for less than 30 days you can simply apply for an L Visa). For the Q2 Visa, which only allows you to stay for a maximum of 180 days, an invitation letter issued by a Chinese citizen or a foreign citizen with a Chinese permanent residence permit who lives in China should be enough. For the Q1 Visa, which is needed for stays longer than 180 days, in addition to the invitation letter, you’ll also need to provide further documentation. For family reunion purposes, you’ll have to provide the original and photocopy of the certificate (marriage certificate, birth certificate, certificate of kinship issued by the Public Security Bureau or a notarized certificate of kinship) showing the family relationship between the applicant and the inviting individual. Note that “family members” refers to spouses, parents, sons, daughters, spouses of sons or daughters, brothers, sisters, grandparents, grandsons, granddaughters or parents-in-law. For foster care purposes, you’ll have to provide a large number of documents and, in my opinion, you should contact the Chinese Consular Office in your country before starting to collect the documents. You’re required to submit relevant certifications in order to meet the requirements of the competent authorities of the Chinese government on high-level talents and individuals with special skills urgently needed by China. The requirements in this case are quite vague, due to the fact that “talents” and “skills” may vary greatly. The S Visa is issued to people who intend to visit their (foreign) relatives or friends in China for a period longer than 30 days (for less than 30 days you can simply apply for an L Visa). It may also be issued for “private affairs”. For the S2 Visa, which only allows you to stay for a maximum of 180 days, in addition to an invitation letter issued by a foreign citizen with a Chinese temporary residence permit who lives in the country, you’ll have to provide the original and photocopy of the certificate (marriage certificate, birth certificate or notarized certificate of kinship) showing the family relationship between the applicant and the inviting individual. “Family members” refers to spouses, parents, sons, daughters, spouses of sons or daughters, brothers, sisters, grandparents, grandsons, granddaughters or parents-in-law. For private affairs, in addition to the invitation letter, you’ll have to provide documentation identifying the nature of the private affairs. The term “documentation” is left purposely vague, as the nature of private affairs may vary greatly. For the S1 Visa, which allows you to stay for longer than 180 days, in addition to an invitation letter issued by a foreign citizen with a Chinese temporary residence permit who lives in the country, you’ll have to provide the original and photocopy of the certificate (marriage certificate, birth certificate, certificate of kinship issued by the Public Security Bureau or a notarized certificate of kinship) showing the immediate family relationship between the applicant and the inviting individual. “Immediate family members” refers to spouses, parents, sons or daughters under the age of 18 or parents-in-law. You are required to provide the JW201 (or JW202) form issued by the Chinese Ministry of Education (only necessary for the X1 Visa) and the notice of admission from your school. Your school should obtain these documents and send them to you. You may also be required to provide a medical certificate, depending on the duration of your stay. If you want to study in China for less than 180 days, you’ll have to apply for an X2 Visa. However, if you want to stay longer, you’ll need an X1 Visa. Note that U.S. citizens may be eligible for a 5-year multiple entry X1 Visa. In this case, the remaining validity of your passport must be more than 12 months. Important: Holding a Z Visa is the only way to work legally in China. In addition to the Invitation Letter of Duly Authorized Unit or Confirmation Letter of Invitation issued by the relevant Chinese entity, in most of the cases you will have to provide a Foreigner’s Work Permit issued by the State Bureau of Foreign Experts. There some special cases in which a different document is required; however if you have a “normal job”, such as teacher, engineer, etcetera, the Foreigner’s Work Permit shall be enough. We still recommend that you double check the requirements with your employer. Since 1 April 2017, foreigners that work in China has been divided into 3 classes: Class A (high level talents), Class B (professional personnel), Class C (foreigners who are nontechnical or service workers hired on a temporary/seasonal basis). There are several criteria that are used to rate the applicant: salary, education, Chinese language skills, experience, etcetera. If you reach at least level C, then your employer can apply online for your Foreigner’s Work Permit. However, note that, if you fall into Class A (high level talent), then the requirements are much less strict (read this article for more details). Be aware that not all employers can get you a Work Visa. For instance, small, private English schools often can’t. This is the main reason for which they often try to convince you to come to China and work under a Tourist or Business Visa. Do this at your own risk because it’s illegal. If you get caught working with the wrong Visa, you risk paying a fine that ranges between 5,000 and 20,000 Chinese Yuan, and may even end up in prison (from five to fifteen days). Afterwards, you’ll be asked leave the country or, depending on the conditions, will be deported (at your expense). If you’re deported, you won’t be able to get a new Chinese Visa for a period that ranges from one to ten years. Depending on the field, you may need to prove you have English as first language and hold a Bachelor’s Degree (if you want to teach English) or provide a Ph.D. degree (if, for instance, you want to become a university professor). The logic behind this rule is the following: you have to prove that you are useful to China by bringing some skills and expertise that the country needs. If you can’t do anything, why should a Chinese company hire you instead of a Chinese person? The work Visa also allows you to bring your wife, husband or children to China. They will only need to provide a marriage or birth certificate. However, your wife can’t legally work unless she gets her own Z Visa. Information on the inviting entity or individual: name, contact telephone number, address in China, signature of the inviting individual or of the legal representative (if you’ve been invited by a company), and an official stamp (if you’ve been invited by a company). An invitation letter may only be issued by a Chinese citizen, a foreign citizen with a Chinese Resident Permit who lives in China or a Chinese entity (for instance a Chinese company or trade fair). If you’ve been invited by an individual, he/she must also attach a copy of his/her Chinese ID, or a copy of his/her passport and Resident Permit (if he/she is not a Chinese citizen). Note that if you’re applying for a Q Visa, the inviting individual must be a Chinese citizen or hold a Permanent Resident permit (Temporary Resident Permits are not allowed for Q Visa application invitation letters). In the case you’ve been invited by an individual, he/she shall also attach a copy of his/her Chinese ID, or a copy of his/her passport and Resident Permit (if the his/her is not a Chinese citizen). Notice that if you’re applying for a Q Visa, the inviting individual must be a Chinese citizen or hold a Permanent Resident permit (Temporary Resident Permit are not allowed, for Q Visa application invitation letters). If you’ve been invited by a Chinese entity, the company’s business license – or other applicable documents – must be attached to the invitation letter. Finally, if you’re applying for a Z Visa, the Invitation Letter must be issued by a “Duly Authorized Unit”; in other words, your Chinese employer must have a permit to hire foreign workers. Be aware that D, J1, Q1, S1, X1 and Z Visas are only valid for for 30 days starting from the day you entered in China. Then you should transform it in a Temporary Resident Permit (or Permanent Resident Permit, in the case you’ve been granted a D Visa) at the PSB (Public Security Bureau Entry and Exit Administration Office). Your employer/school should help you to do so, at least in the case of Z and X1 Visas. In order to get the Resident Permit, which must be renewed each year, you will have to provide a bunch of documents and an Health Certificate issued by China Entry-Exit Inspection and Quarantine Bureau or HK public hospitals. 9. Passport Number: Your passport number. Yes, you can require to extend or change your Visa at the PSB (Public Security Bureau Entry and Exit Administration Office) at least 7 days before the date of expiration of your Visa. However, there is no guarantee whatsoever that the PSB will accept your Visa extension or change request (they’ll decide case by case, according to your nationality, your situation and the documents you’ll provide). The law states that for illegal residence of aliens, warning shall be given; in serious cases, a penalty of 500 Yuan per day shall be imposed on illegal residence, not to exceed a total of 10,000 Yuan, or detention period shall be between 5 and 15 days. As usual, Chinese law are somewhat vague and it’s difficult to assess what a “serious case” is. Our suggestion is to avoid any overstay and always exit the country before the Visa expires. How long can I stay in China without a visa? To enter China, you must have a visa. There are however a few exceptions that you’ll find here. Is it true that to get a tourist visa I have to present an arrival and departure ticket and hotel reservations for the length of my trip? In general, the answer is yes. Some agencies manage to get you the visa even without those documents, especially if you request the visa in Hong Kong, but the situation is evaluated on an individual basis. How long does it take to get a visa for China? If you have all the necessary documents, from 2 to 4 business days. Can I legally work in China with a tourist, business or student visa? No, the only way to be able to work legally in China is by getting a work visa (Z visa) and change it into a residence permit within 30 days of entering the country. How long does my visa last? The length depends on the type of visa you’ve been issued. Click here to learn how to read a Chinese visa. When should I apply for the Chinese visa? You can apply for a visa in the 90 days prior to your entry date. The best time to do it is 30 to 60 days before you leave. Because the visa expires after 90 days (or 180 days in some cases), it’s not a good idea to apply for it too far in advance. What is the difference between a passport and a China visa? A passport is an official document that certifies your identity and citizenship and is a requirement to enter other countries. A Chinese visa is a government document that temporarily authorizes you to stay in the country. It consists of a seal or sticker in your passport and can be obtained at Chinese consulates or embassies. What is the difference between a Chinese tourist and business visa? Chinese visas are issued depending on the purpose of the trip. Tourist visas tend to be issued specifically for the purpose of traveling for leisure, whereas business visas let travelers conduct business activities such as meetings, visits to factories, negotiations, etc. Why does my Chinese visa application gets rejected? It’s important to fill out your application without mistakes. You should avoid mentioning travel itineraries that include Xinjiang and Tibet. You should also keep in mind the specific photo requirements and check that you are attaching all of the required documents. Can I apply for an extended stay when I’m in China? If you want to extend your visa or exchange it for a different one, you can do this in China in multiple cases. Currently, the standard extension period for a tourist visa is one month, although it can’t exceed the duration of your stay in the original visa. Need help getting a Chinese visa? Still Confused? Get help for your VISA! Traveling with other people? Get the Visa online! If you're traveling with at least another person, you can apply for the visa online, saving time and money. Click here to learn more!